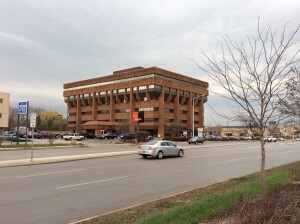 A major special loan servicer, Midland Loan Services, entered the motion to appoint a Receiver to preserve the asset value of a Class B Office Building in suburban Milwaukee. The borrower lacked the funds to service the debt, properly maintain the Property and enter into new leases. The Property entered Receivership under the jurisdiction of the Circuit Court of Milwaukee County for the purpose of: 1) collecting rents to fund operations and deferred maintenance, 2) marketing and repositioning the property to increase occupancy, 3) conducting structural and cosmetic repairs. 2675 N Mayfair Road is a 6-story Class B office building consisting of approximately 102,000 square feet situated on a 2.1-acre site. The location is excellent, directly across the street from the Mayfair Mall, a highly successful and upscale regional mall. The property is 68% occupied, with a mix of local, regional and national tenants. Deferred maintenance is a significant problem, with structure repairs to the parking deck estimated in excess of $500,000. CTI interviewed multiple service providers and selected Jones Lang LaSalle’s Milwaukee office as the property manager, leasing agent, and construction manager. After negotiations that resulted in substantial savings, CTI finalized the service agreements and obtained Court approval to proceed. The borrower/owner failed to properly maintain the below grade parking deck due to lack of funds. CTI reviewed the conditions and engineer’s opinions and obtained Court approval to proceed and Lender funding of the project. CTI implemented the existing construction plan after re-ordering the phasing to address the emergency conditions. Total concrete and membrane restoration costs are expected to exceed $500,000. CTI prepared a business plan and operational budget, and oversaw the preparation of the re-positioning plan, including the marketing and leasing strategy and Broker Opinion of Value. Leasing activity includes a response to an RFP for a 10,000 square foot space requirement and a 5,000 square foot renewal for a 5,000 square foot tenant. As a service separate from the Receivership activities, CTI conducted a thorough property audit for the 18-month period prior to the Receivership. Included in the audit was: 1) obtaining estoppel certificates from the tenants, 2) review of the property accounting for the 18-month period, 3) review of all expense payments over $1,000, 4) verification of all service contracts, and 5) verification of payments to contractors and receipt of lien waivers.